If you’ve ever wondered what the best strategies are to sell a home, you’ve come to the right place. You’ll find tips and strategies used by professionals, average people selling their homes and everyone in between. Some of them may surprise you! Equity, which is the price of the house minus the remaining debt from any loans, is the amount of money you’ll walk away from the sale with. The more equity, the better, as it can help with the real estate and legal costs involved in selling a home, not to mention helping you pay for your next home. For instance, now. Interest rates on mortgages are as low as they’ve ever been for quite some time, and they’re only going to increase from here. When interest rates are low, it might be time to consider that move you’ve been thinking about. This is where a realtor comes in handy. Selling when there are people looking for new homes in the area is a common-sense decision. The only issue is finding out if/when people are looking at your zone, which is typically where a real estate agency can help. While you can sell during any season, your home will look prettier and more vibrant when the weather is good and when plants are alive and healthy. Try not to sell in the dead of winter when people's moods might be at an all-time low. If you find yourself with too many rooms to spare, selling a house that’s too big and buying a smaller one is a sensible decision. Perhaps there’s a new baby on the way, or some of your extended family is moving in with you. Now would be a time to sell if you need a few more rooms to fit everyone. If you have home-improvement projects taking place, make sure they’re finished and the tools put away before listing the house. A house in progress looks like a house unready, and a house that looks like it needs work – even if it’s just something cosmetic – is less likely to sell. If you’re not in a rush to sell, then don’t act like you are – you will get lower offers if buyers think you’re in a hurry to skedaddle. If you are in a hurry to move, try to be patient and wait for the best offer possible. You don’t want to miss out on equity because you got caught up in a rushed or lowball sale. 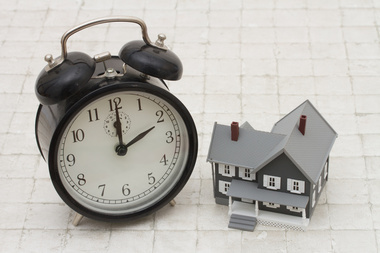 For more information on planning the right time to sell your home, please feel free to contact me today.